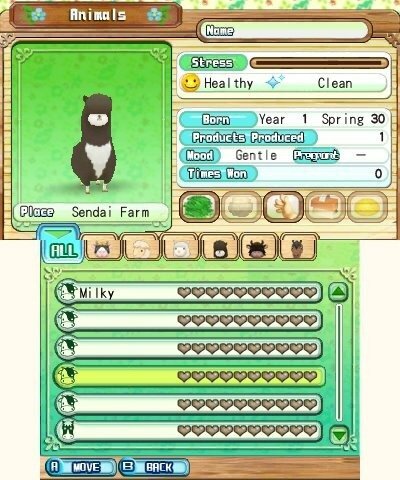 It may come as a surprise to some that a series of farming simulation games could become so popular and beloved by such a large audience, yet here we are, more than 15 years after the launch of the maiden game, with the release of Harvest Moon: A New Beginning. In celebration of this milestone anniversary, Marvelous AQL has decided to bring us back to the basics. Working as a refresh to the beloved series, A New Beginning sets out to remind gamers why they fell in love with Harvest Moon in the first place. A New Beginning starts with you inheriting your family's abandoned farm, tasked with bringing the land to life and enriching the surrounding Echo Village. It's a plot that we've seen in almost all previous Harvest Moon games, but it's a device that effectively sets the ball rolling for the journey that lies ahead. 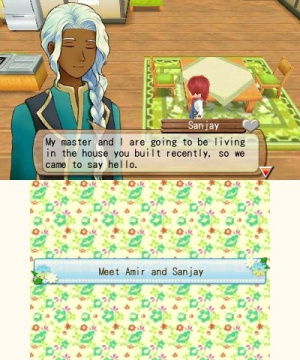 For anyone who hasn't played any Harvest Moon games, what appears to be an innocuous farming sim is actually a convivial step into your new virtual home. Not only will you be tending to your farm work, but you will also be interacting with the business owners and residents of Echo, making friendships and potentially romancing a partner. As you harvest crops and care for your livestock the people around you start to take notice, and new life is slowly breathed into your once downtrodden neighbours. While your ultimate goal is to revitalize your farm and Echo Village along with it, importance is placed on interacting with and befriending the locals. In a possible attempt to make a statement about the consumerist nature of humans today, relationships are built through the act of gift giving. Finding out what certain characters like to receive is important when attempting to grow a relationship, but once people start liking you, then you will begin to receive gifts in return. For example, befriend the local blacksmith and you may receive blueprints to upgrade your farming tools, or get in good with the fashion designer to receive new outfits to wear. The strength of your relationship with each particular character affects what gifts you may receive, as well as other occurrences such as a new resident's desire to move into the village. Unlike previous games in the series, A New Beginning encourages customization of your character, farm, and even Echo Village. While these customizable elements may be limited to gender, hair color, clothing, and the placement of buildings on your farm and around town, they still contribute to the feeling that you truly are working to create an environment that is both healthy and your own. As time passes you will eventually be asked to construct very specific buildings or decorations around town to make the place more vibrant and livable. Fulfilling these requests will unlock more objectives, objects to build, and new folks who want to live in your ever-growing village. All of this is optional, however, so choosing simply to tend to your own land and stay to yourself is a perfectly viable decision, but you will miss out on so much of what this game has to offer. The social interactions and other objectives serve to break up the inevitable tedium of farming, a feature that is unfortunately missing in some previous games, as pointed out in our recent review of the Game Boy Color game. Other life simulators, such the upcoming as Animal Crossing: New Leaf, may work on a real-time clock, but A New Beginning has an in-game clock that moves at a pace of 1 minute to every real-time second. Whether you're working hard or simply lounging in your home, time passes at a consistent rate and you progressively grow tired. Along with managing your crops and animals, it is also important to both eat nutritious foods that regenerate stamina and to figure out a routine that divides your time in such a way that you can accomplish everything you need to in any given day. This in-game clock and stamina system, while often frustrating, effectively adds an element of urgency and strategy to a game that would otherwise become dull over time. You may not be restricted to walking in a grid pattern like previous series entries, but the controls remain simple nonetheless. Moving, interacting with people and objects, and using your tools is performed entirely with the 3DS's hard buttons. 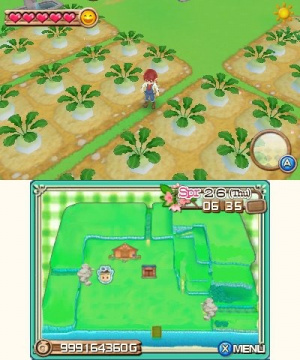 Some menu options can be tapped through on the touchscreen, but the bottom screen is used mostly for displaying a map of your farm and the surrounding village. It does seem as though more could have been done to utilize the touchscreen in ways that engage the player, such as mini-games or interactions with your animals, but having the map always on hand is also beneficial for keeping track of where you or other villagers are located. Not only does A New Beginning play well, but it also looks and sounds great. Unlike Harvest Moon: The Tale of Two Towns that was simply a 3DS port of a DS game, A New Beginning was made for the 3DS, meaning that more care was put into designing it specifically for the newer console. Rather than shoehorning the 3D effect into a game optimized for a 2D platform, the 3D in A New Beginning feels more natural and helps to bring the environment alive. There are still occasional instances of slight frame rate slowdown with the 3D turned on, but these are few and far between, and they're not nearly enough to detract from the game's overall quality. The soundtrack consists of lighthearted melodies similar to those that accompany previous games in the series and help set the relaxing mood that the game intends to bring about. The music changes as time and seasons pass, working even harder to match the tranquil feeling. Though there is multiplayer gameplay both locally and via Wi-Fi connection, what you can do with other players is limited to sharing items and interacting with animals on a small farm. Before entering the multiplayer area, you must choose which animals you would like to bring with you and what item you want to trade. After the trade is complete, you can then run around the farm, milking each other's cows and sheering each other's sheep. Though the gameplay is limited, multiplayer is a great way to earn some easy money and care for your livestock. This is also a very easy way to make a whole lot of money in a very short time if you're not opposed to exploiting the system. 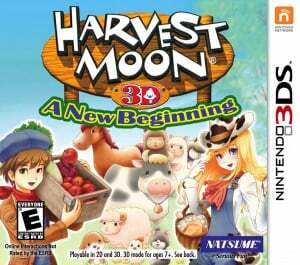 Harvest Moon: A New Beginning is a successful attempt to breathe new life into an ageing series. Taking players back to the basics that made Harvest Moon so charming in the first place, this one serves to combine the best of the series into a game that no fan should pass up. It may not be a game or genre that will appeal to all gamers universally, but series veterans will find something to love here. As one villager so adequately and profoundly sums it up, "This is your life. Find something you want to do with it and do it." I would have bought it when the clock was optional. Got frustrated by the clock in the Wii game. i love this game. i really do. the one drawback i would like to warn people about is that it becomes too easy to just go online and trade with people. it becomes more of a competition as to who gets the upgrades the quickest. it is very easy to get drawn into the online trading. there were people who had just started the game who were begging for items that aren't available til the 3rd year, etc. i will pick it up again one day and try it without the online stuff constantly. that said, it is a beautiful version of HM. Hmmm. Didn't know this was out in Europe yet. Wow, it's quite cheap too! The game is great, but it's a little bit too slow. Anyone know a rough release date for Europe. I know it's been finally confirmed for Europe, but no stores have it for pre-order (Amzon says 'out of stock'). This looks fun. I think I would enjoy it. I'll have to consider getting it whenever I buy a 3DS. Haven't played a Harvest Moon game since Friends of Mineral Town, this looks like a great way to start back up! I always liked the idea of growing crops and bringing them to the market to make money, thus allowing you to get better crops and maybe some animals. Will definitely pick this up in the future! I loved Harvest Moon on the GBA and Gamecube, but haven't played one since. I think I meant have to pick this up when it drops a bit in price. Harvest Moon and Pokemon are tied as my favorite video game series'. This is by far my current favorite 3ds title. Its extremely fun and addictive; the only downside is the slow start during the first spring. I PERSONALLY would give it a 10+/10, but this 8/10 is exceptional. I'll probably pick up Rune Factory 4 instead, but I'm glad to hear this is good, too. I got this a few weeks ago and all I can say is this is awesome. My 1st Harvest Moon so it is a great game to jump head onto in the series. 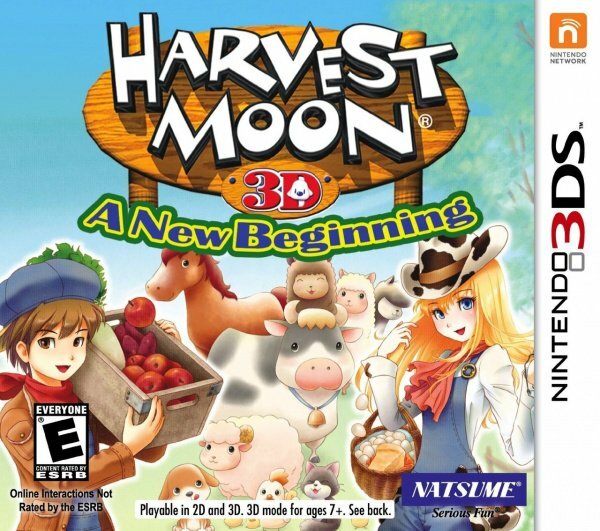 Been looking to try my first Harvest Moon game, so I might pick this up alongside Animal Crossing: New Leaf. To date, I've been continually dissuaded by its impression as a run-of-the-mill farming sim, but it seems this review has given me adequate assurance that there's more to the overall game. Wasn't this game released a year ago? @Melkaticox It released in NA this past November, but it still hasn't dropped in EU. Sometimes review copies of games are in limited supply. Other times they just take a little while to get to us. Great review mate! My sister's been having a blast with this lately, and I'm very happy to see a new Harvest Moon come out that's worthy of the name! I haven't played a HM since Magical Melody on the GameCube, but I think I might have to start again with this one! Out of all the games that was HM, The New Beginning was one of my favourite. Oh and of course Back to Nature is somewhere there as well. Why the release date is 23rd Feb 2013 for EU/UK at the top of this page ? Shouldn't it be 23rd Feb 2014 ? I borrowed this from a friend. I hope it's fun! This is one Harvest Moon game that I want to try for myself. It looks like it has pretty deep gameplay mechanics and customizable options to add to an already polished game. 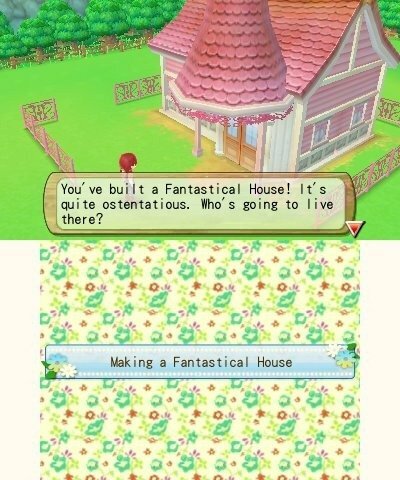 I'll definitely consider picking this up in the future, but not before Animal Crossing New Leaf. Trust the people who got this game, it really is fun. It starts out a little slow but after the first year it really picks up steam. It's the game I played the most on my 3 DS. I never played this series but a new beginning really interests me. Is this on the eShop? This is one of my favorite games right now. I also have the adorable yak plushie that came out with this game. I had to get it off eBay, though, because I downloaded the game off the eShop. Anyway, if you can get ahold of one of the plushies, they are incredibly soft and well made. Basically, even the outside promotional items for this game were above and beyond. Great review. The only Harvest Moon games I have played are the SNES one and one on the PS2. After reading this review I think I might pick this one up. Another game I'll be adding to my list. Anything is an improvement over the last 3DS entry. Sooo boring. Any updates on the PAL release date? I'm anxiously awaiting its release down here in AUS. At Amazon.uk it says "This item will be released on 30 August 2013"Just checked this at the weekend, previously it was "currently unavailable". Maybe it's time for me to give this game a chance. Looking back at playing this game, I'm not sure why I felt obliged to do all of the tedious, button-pressing farm work. Hmm. Maybe I should go play it again and find out? Personally, I think this is one of the best games on the 3ds. if you like sim games, that is. Oh yes, you definitely have to like sim games. But if you do, this is one of the ones to really take a look at. This game is just addicting! I love how you can get married too, and I wish more games had such options. 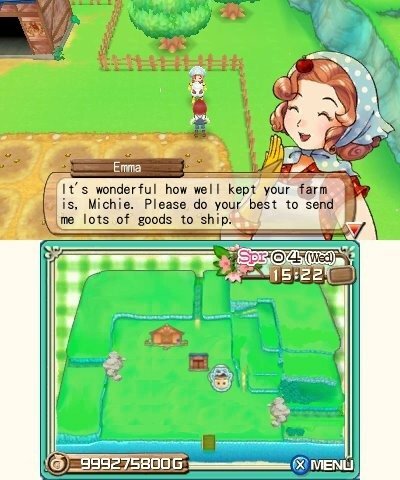 I cannot wait for Story of Seasons! I was considering getting this game, but then I really want to play Stardew Valley when it comes out on Wii U! I thought maybe getting this game would make Stardew Valley less interesting and fresh for me. What do you guys think?